We also offer file conversions from Mobipocket to ePUB files. Mobipocket is File format owned by Amazon and is exclusively used for Kindle reader. No other ebook reader can view this file unless you have a Kindle app for it. Unlike ePUB, Mobipocket file does not have the source file embedded into it. To convert mobi to ePUB, many time you need the HTML source files. The wider support for ePUB documents on various different eReader platforms still makes this file type preferable to many of the others out there. While Mobipocket does have some cross-device compatibility, not every device can open Mobi file. Additionally, these files aren’t supported by a large number of eBook vendor platforms. While you can use this file type for the Mobipocket eReader platform, it’s better to have ePUB formatting for other platforms so you have the greatest number of platforms accessible to you. We can convert any existing mobi files you have to ePUB format. Our processes are careful and thorough. We will preserve any special features in your Mobipocket that is supported on ePUB. Not all features in the different formats are supportable, but everything that can be preserved will be. We’ll double check on the quality of your file and fix any errors that our conversion process might have created. 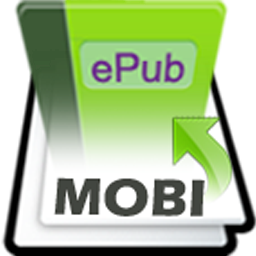 If you are looking to convert Mobi to epub, contact us for more information. You can email Bob at Bob@itglobalsolution.com or call 515-865-4591. We’ll be happy to answer any questions that you may have. I want to personally thank Bob, and Sharon in particular, for their consistent courtesy, professionalism, and extra attention you-all have put into making my eBook possible. I feel many lives will be touched and blessed with wealth in the golden years through this remarkable inspirational confidence building book, Retire Lucky – Retirement Innovation. Again, thanks so much!.